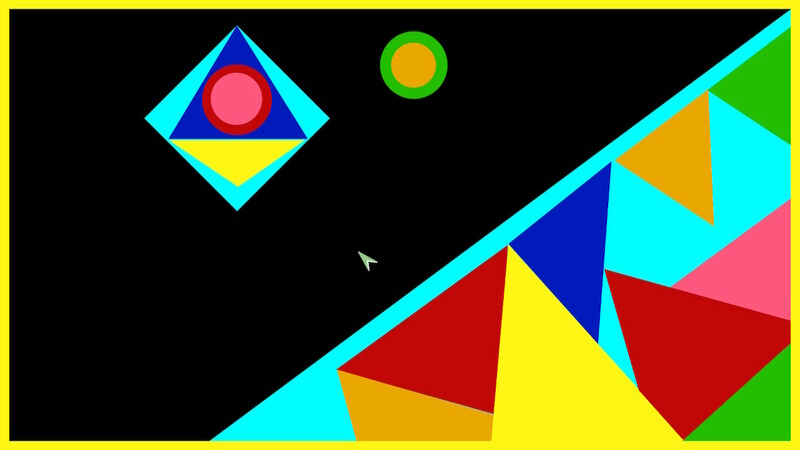 A simple yet intuitive puzzle game, Color Zen is one of the few free titles currently available on the eShop. 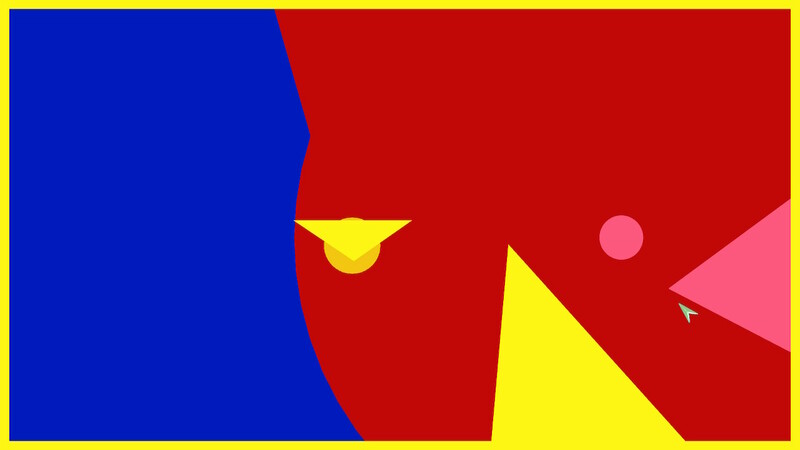 The aim is to turn your screen the same colour as its border by strategically matching coloured shapes. When a match is made, the screen turns the matched shapes’ colour, and you must repeat this process until you have no shapes left to combine, and your screen is a solid rectangle of colour. Color Zen‘s levels start out simple, but grow to be more complex. This slow introduction makes it easy for new players to get started, without any pressure. The accompanying music by Steve Woodzell throughout is superb, creating an immersive and relaxing gameplay experience for players, and the sound effects when combining shapes and navigating menus also add to the atmosphere, with the game giving off an almost futuristic vibe. Matching colours swallows up the screen in that colour. Strategy is a huge part of Color Zen‘s gameplay. You must plan your every move carefully, so you don’t remove a vital set of shapes from the puzzle too early. This can sometimes be a challenge when the solutions appear obvious, or if you act in haste; however, with no punishments to fear, and the ability to attempt each level as many times as you like, you are free to play and complete each level at your own pace. With this in mind, Color Zen is very much a game that you can sit back and relax with, letting its vivid colours and upbeat soundtrack relieve you of any stress or anxiety. It is a game that can be enjoyed anywhere, and with up to 460 levels available to play (the various DLC packs available for purchase included), it has enough content to keep its players entertained for hours, with tangible replayability. My only issue with Color Zen is its frustrating control scheme when playing tabletop or docked. Using a combination of the A button and the left joystick to drag a cursor across the screen feels sluggish and imprecise when you compare it to the handheld touchscreen controls, and frequent mistakes are easily made. As such, to fully enjoy and appreciate Color Zen, handheld is definitely the way to go, though the gameplay experience itself is universally enjoyable regardless of play style. 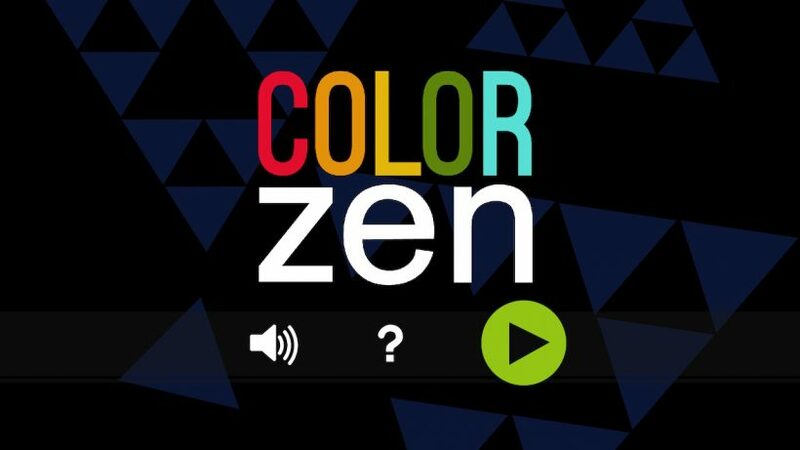 Color Zen is definitely a puzzle game that I would recommend, especially as it is free. Although its premise is incredibly basic, the appearance and complexity of many of its puzzles is staggering, and I found myself spending lots of time on the game to complete each and every puzzle. There are enough levels to keep players occupied for hours, and with various DLC packs also available, look no further than Color Zen if you’re after a meditative puzzle game with a thoroughly enjoyable accompanying soundtrack. Color Zen is a truly relaxing puzzle game, offering light entertainment and relief from stress and anxiety when you need it most. With bright, colourful graphics, enjoyable music and quirky animations, it is definitely worth a try – especially as the game is free to download.